►for Endorsement approved courses "F","R" ,"T" ,"W"
Each course consists of similar elements. 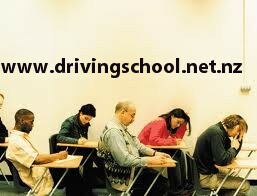 • Demonstrate their knowledge of safe driving of a heavy motor vehicle, by completing multi-choice questions. Note – These courses allow for the accelerated progression of person over 25 only and do not eliminate the requirements for the driver to progress through the individual licence class. The approved courses for heavy vehicle classes are aligned with unit standards on the New Zealand Qualifications Authority (NZQA) framework. If you successfully complete a course, you have the opportunity to have the unit standard you've achieved count towards a national certificate as well as a driver licence.